Few products change the way you cook the way a ThermoPro meat thermometer does. In today’s busy world, the ability to leave a probe stuck in your turkey or brisket and receive accurate updates from the other end of the house is incredibly valuable. You can work, relax, or even nap and trust in the thermometer to alert you when something changes. This ensures that you get moist, tender, and fully cooked meat every time. ThermoPro isn’t the only company on the market that makes wireless remote meat thermometers, of course, but they’re one of the better ones. Let’s take a look at some of their more popular models and discuss how they compare with each other and the competition. 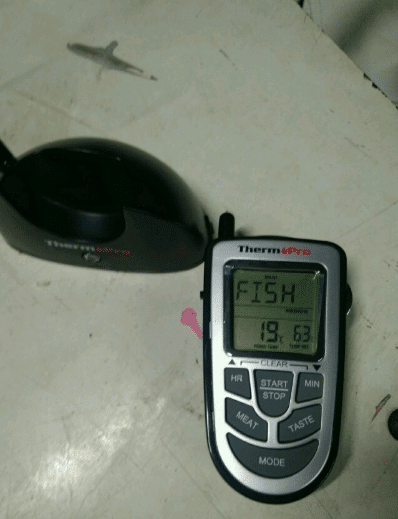 This ThermoPro TP-20 is a wireless digital thermometer. It consists of two electronic pieces: one transmitter, which sits by your grill, oven, or smoker, and one receiver, which you can carry with you throughout the house and yard. The box comes with 3 meat probes, two curved and one straight, and the four AAA batteries you’ll need to get started. Operating the TP-20 is simple. You plug up to two probes into the transmitter, stick them in your meat, and begin to cook your meat. The receiver then tells you how hot the probes are in real time from up to 300 feet away. While you can simply check the temperatures yourself, you can also set up the device to alarm you when a certain threshold is reached. The TP-20 comes programmed with the USDA recommended safety thresholds for 9 different types of meat. You’re free to change these to suit your preferences. 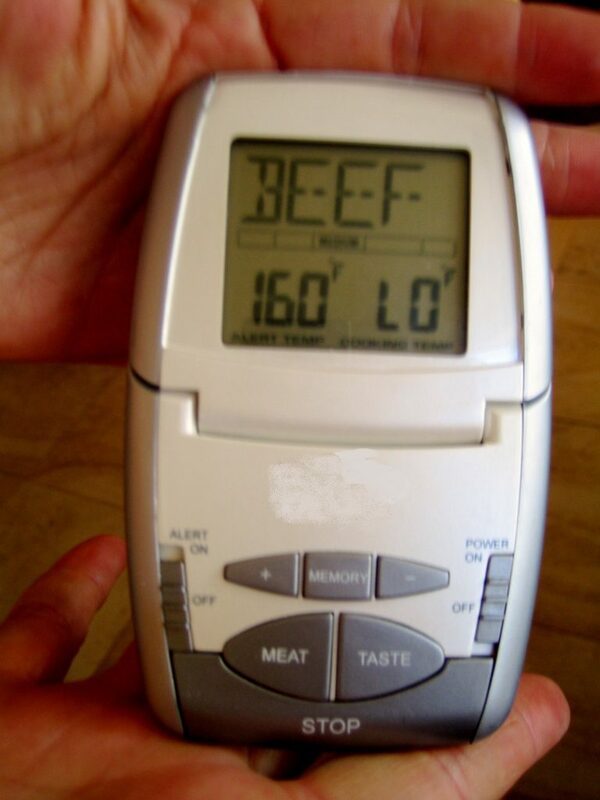 This effectively means that the TP-20 will tell you when your steaks are done just the way you like them with just a few button presses.There’s a built in timer, too, although that probably won’t see as much use. Still, it’s nice to have a basic countdown alarm that you can use to monitor your cooking. If you’re trying to hold a piece of meat at a specific temperature for a certain period of time, you won’t need to involve a different device. The numbers associated with the TP-20 are quite impressive. It’s accurate to within about 2 degrees F, which is pretty darn good for a handheld meat thermometer. They can measure temperatures between 32 F (freezing) and 572 F, which is a fair bit higher than you want the inside of pretty much any type of meat to get. More importantly, however, the probes are rated to over 700F. This means that they’re not going to break if you accidentally drop them in hot coals for a few seconds. They can be used safely on a grill on high or in a broiler. This is a pretty big upgrade over cheaper probes found in some other models. 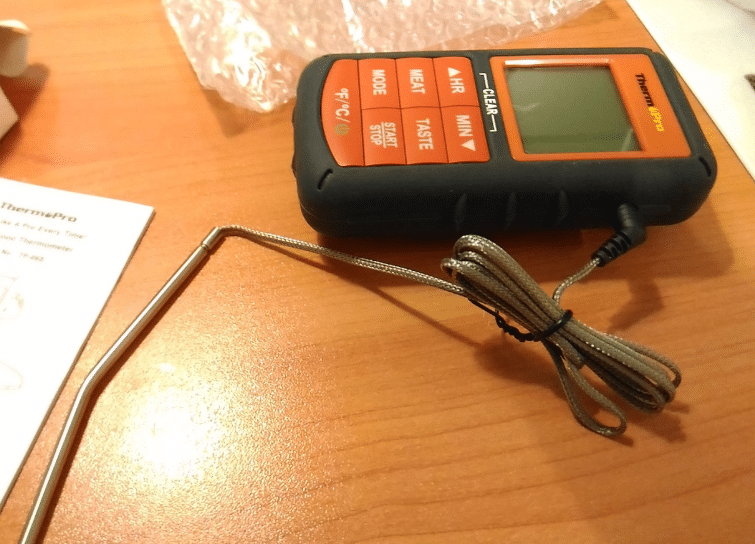 ThermoPro’s temperature probes are, in general, quite nice. They come with long braided steel cables that give you plenty of freedom when it comes to positioning the transmitter. They’re accurate, as noted above, and the inclusion of two probe shapes helps ensure that you get an accurate reading with different types of meat. The TP-20 also boasts more durability than other units. ThermoPro offers a 3 year warranty should you register the product with them. They’re happy to replace broken probes or even defective units during this time period. 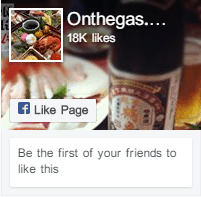 Again, many competing units tend to have a useful operating life of about one year, so this is a very good sign. In addition to the generous warranty, the TP-20 enjoys some mild water resistance. It’s not going to survive a dunk in the pool, but the splash proof receiver can be used outside in the rain with no issues. This is vital for anyone who plans to use a smoker or grill outside during questionable weather. It’s also nice to know that a few drops of your beverage of choice won’t ruin your thermometer. The TP-20 is not the most modern device in the world. It’s got a cheap LCD display with big digits. The buttons are neither elegant nor particularly well thought out, with the power button sitting right next to the mode select button and one of the controls you use to change temperature presets. It’s a bit too easy to turn off the receiver by accident. The buttons are also a bit too sensitive. Should you clip this device to your belt or leave it in your pocket, any accidental contact between the receiver and kitchen counters, doorframes, or even your hands might change your programmed settings. 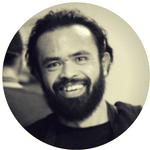 They’re quite functional, however, and with a bit of practice you can set things up to monitor common cooking jobs in a matter of seconds. As far as functionality goes, however, it’s absolutely incredible. One of the old adages of smoking (and barbecue in general) is “if you’re looking, you’re not cooking.” ThermoPro thermometers effectively give you the ability to look and cook at the same time. You might not be able to see your brisket with your eyes, but you can check on the internal temperature in real-time with one probe while using the other to measure the ambient temperature inside your grill or smoker. This ensures that you’re able to adjust things to keep your meat at the right temperature without having to open your lid unnecessarily and let all of the heat out. Each pair of receivers and transmitters is married permanently, eliminating any confusing pairing procedures. The advertised range of 300 feet seems pretty accurate. While walls and other obstacles might slightly reduce this range in practice, it’s more than enough for typical home use. A “signal loss” alarm prevents you from accidentally walking out of range without noticing. The biggest downsides of the TP-20 aren’t things that it does poorly, but rather nifty features that it doesn’t have. It doesn’t have a low-temperature alarm, for example. It also can’t connect to your phone, nor does it have fancy logging software that you can use to make charts of your cooking temperature when you’re finished. While you can find remote meat thermometers with these features, they tend to be more expensive, less robust, or less accurate than the TP-20. Sometimes, they’re all three. The ThermoPro TP-20 is a solid choice for anyone who wants to step up their cooking. It’s brilliant for roasting, broiling, grilling, smoking, and just about any other type of cooking you can think of. It’s a clever, affordable device that ensures that you’re in control, no matter where you are. The TP-20 is not expensive. It’s more than the price of a meal for one, sure, but it’s a tool that will last several years and will make cooking much, much easier. 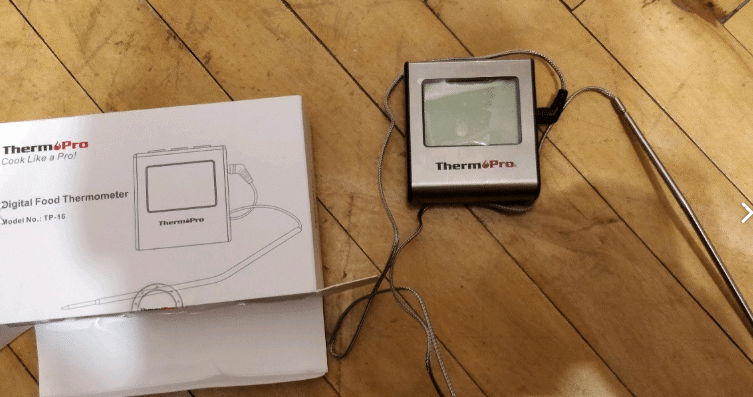 Nevertheless, this ThermoPro makes a slightly cheaper model of wireless meat thermometer. Called the TP-07, this unit is less expensive but worse in a handful of discrete ways. Why is the TP-07 worse? One important difference has to do with durability. The TP-20 is splash proof and rated to temperatures of over 700 F. The TP-07 is not splash proof and can’t go much above 550 F. This means that the TP-07 is much less likely to last for several years of enthusiastic use. 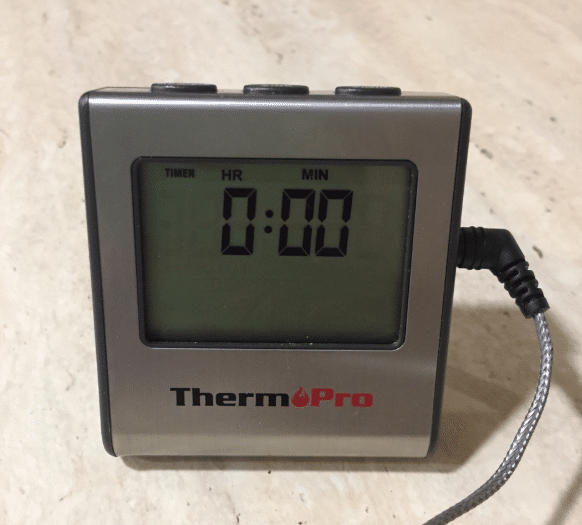 ThermoPro offers the same three year warranty if you register the product, but I still feel a lot more comfortable knowing that my cooking tools can survive conditions that they’re likely to encounter in my kitchen.Another difference has to do with programming. The TP-20 has 9 meat presets that you can reprogram to your heart’s content. The TP-07 does not. This isn’t a gigantic deal, but it does mean that you’ll have to press a few more buttons each time you cook. 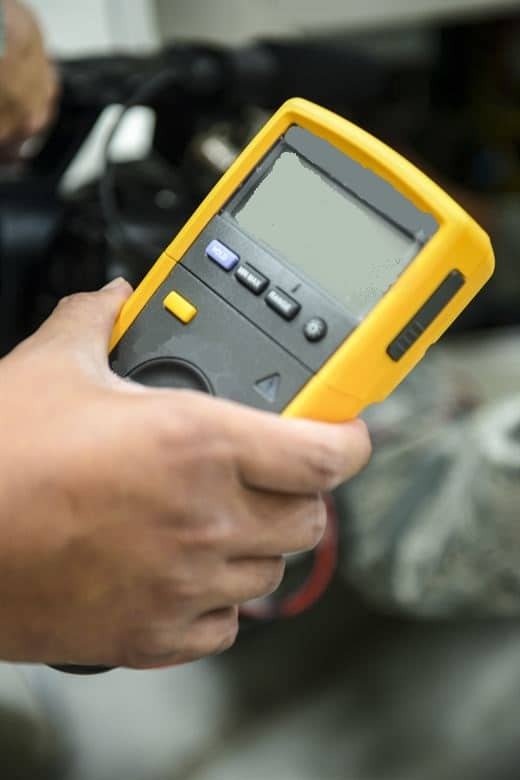 Finally, while the TP-20 uses two probes at once to give you two different temperature readings, the TP-07 can only utilize one probe. It only comes with one probe, in fact, while the TP-20 comes with three. IF you’re cooking simple things (like single briskets), you can get away with only having a single probe, but it’s nice to have a probe for ambient grill temperature even with such simple jobs. If you’re cooking more than one type of meat at once, you’ll definitely want the TP-20’s additional sensor. That said, the TP-07 is still a fully functional thermometer. It’s got the same range, the same alarms, and the same accuracy. It’s a brilliant tool if you’d like to keep an eye on a brisket you’re smoking. The lower max temperature makes it more difficult to use in some contexts, you’ll definitely miss the extra sensor, and the simpler electronics make it more complex to use. If you’re not completely sold on the idea of a digital wireless thermometer, however, or if budget is a big issue, there’s nothing wrong with choosing the TP-07. This TP-08 is designed specifically with smoking in mind. It comes with two probes, one for your food and one designed to measure the temperature of your oven or grill. It’s a slightly newer and more robust model than the TP-07, with a handful of unique features. While it’s not quite as versatile as the TP-20 – the probe setup is slightly more limited out of the box – it’s arguably the best ThermoPro meat thermometer for many households.Numbers-wise, the TP-08 is more comparable to the TP-20 than the TP-07. It’s accurate to within 2 degrees F in both probes and can withstand temperatures of over 700 F. It’s got 300 feet of broadcasting range and takes 4 AAA batteries. Like the other two products on this page, the TP-08 comes with a full set of batteries included in the box. The primary benefits to the TP-08 come from its more modern electronics. It’s got a handful of additional features and modes, including a highly sought-after low temperature alarm. This is perfect for smoking or grilling, since it ensures you’ll be alerted the moment your flames start to die down. The other units, by contrast, only alert when the temperature goes up. Unlike the TP-20, the TP-08 does not have a receiver that’s built to withstand water in any capacity. This is a mild downside for outdoor use. Luckily, the newer buttons seem less prone to get bumped when you keep the receiver in a jacket pocket. It’s a bit of a mixed bag. Presets don’t work quite the same with the TP-08 as they do with the other two thermometers. Honestly, I don’t anticipate this being a huge problem for most users, but it’s worth noting for anyone looking to upgrade a TP-20 or TP-07. After a couple of uses you should settle into the new swing of things. Overall, I think that the TP-08 is the logical choice for anyone who cooks with actual flame, be it charcoal, wood, or wood pellets. The “low temperature” alarm is an incredibly valuable tool that helps make sure that your fire never runs out of fuel. It’s a great addition to an already great wireless digital thermometer. The TP-20’s competitors tend to have poor features, lacking durability, and high prices. ThermoPro’s TP-20, on the other hand, is fairly affordable, durable, and simple to use. It’s a no-hassle tool that puts you in control of your favorite cooking tasks, from baking a turkey to smoking a rack of ribs. The TP-20 ensures that you have the freedom to wander your home with confidence while your food cooks perfectly. Not only will this give you more time to spend doing the things you love, it’ll also ensure that your food comes out the way you want it at the same time. It’s a win-win situation!